Most people take pride in crispy clean aquarium fish tanks and will go to great lengths to keep their aquariums clean. The beauty of an aquarium is first of all its appeal. Some of the marine species are quite colorful and will vibrant. They add enough life to light up any aquarium. 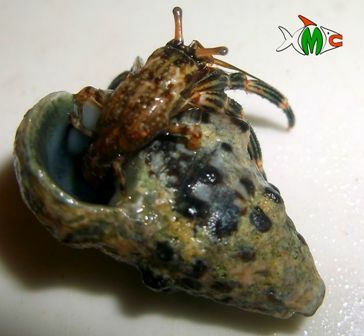 Common cleaners comprise of snails, crabs, shrimps and starfish. They will decorate your saltwater tank and still manage to keep it clean. A tank infested by parasites will no doubt lead to various fish diseases which will be costly to treat or even lead to the premature death of your fishes. You do not want to own a saltwater tank blooming with green algae or brown algae. Algae are notorious and fond of growing in areas you cannot reach to clean yourself. But the good thing is there are cleaners whose natural diet is algae. For example, the turbo snail is a heavy feeder of algae and will clear your tank walls and sand bed of this nuisance. No algae are safe when you own a couple of shrimps, snails and crabs. They will even clear the algae that are hidden on crevices. Cleaners will eat just about anything in your tank. They feed on all the left over foods that your fish will not eat. They feed on detritus (a fancy way of saying they feed on fish wastes). These cleaning crews are indeed “bottom dwellers” but that’s what makes them interesting. They literally feed themselves and require minimal maintenance from their keepers. Cleaners like the shrimp will feed on parasites. Larger fish often seek the services of shrimps and open wide their gills and mouths for the shrimps to feed on the parasites. This is considered therapeutic in the as they rid the other fish in the tank of stress caused by infections from parasites. As an importer of marine fish from Africa, there are other reasons why we recommend cleaners for your tanks.